Created as part of the 3 month long ‘Walking Wiltshire’s White Horses’ project – Ali’s eight, silk ‘escape maps’ now feature as a stunning collection of silk scarves, handkerchiefs and printed greetings cards. Inspired by the secret maps carried by British servicemen in WW2, Ali also combined the rich heritage of the Wiltshire landscape to create this series of unique designs, which not only map the Wiltshire landmarks and mark poignant historical artifacts, but also trace her own personal journey along the White Horse trail. 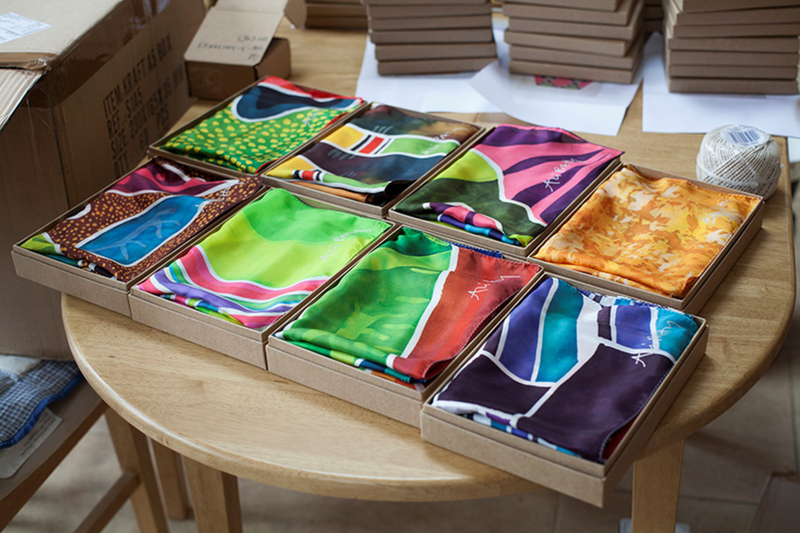 100% Silk scarves and pocket squares, and greetings cards are now available to buy, but stock is very limited.